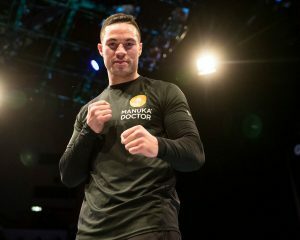 Undefeated Heavyweight World Champions Anthony Joshua and Joseph Parker made their first appearance in Cardiff on Wednesday, working out before a packed house of enthusiastic fans at St. David’s Hall just three days before their Heavyweight World Championship Unification this Saturday live on SHOWTIME. 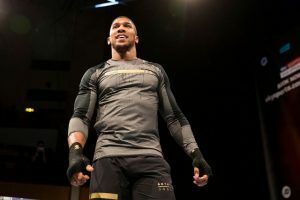 The near-capacity crowd at the National Concert Hall of Wales is a prelude to the record-tying audience expected at Principality Stadium on Saturday where nearly 80,000 fans will match boxing’s all-time indoor attendance record, initially set in 2017 in Joshua’s title defense against Carlos Takam at the same venue. 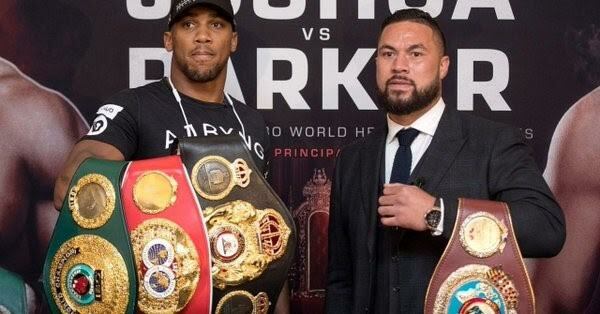 The SHOWTIME CHAMPIONSHIP BOXING telecast begins live at 5 p.m. ET/2 p.m. PT from ringside in Cardiff as IBF and WBA Champion Joshua (20-0, 20 KOs) and WBO Champion Parker (24-0, 18 KOs) meet in just the second unification between undefeated heavyweight champions in history. The 6-foot-6 Joshua will make his fifth defense as champion against the 6-foot-4 Parker, who defends his title for the third time. 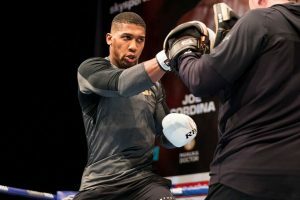 Joshua owns a 100 percent knockout ratio while Parker has never been knocked down as an amateur or professional. “This is bigger than last time. Boxing is bigger than ever right now. This is the golden era and I’m happy to be a part of it. “It’s good news that he wants a war. In boxing, all you need is a good chin and a right hand but I’ve been working on finesse, technique, counter punching. 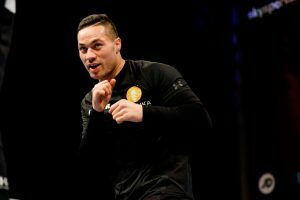 I hope Joseph Parker falls into my booby traps because I’m going to set him up with some power shots as well. Yeah, I’ll be up for a war. I’ll hopefully be up for some blood, sweat, and cheers from my corner. “Physically I believe in my ability. I’m focused and I understand it’s a boxing match and the people are expecting the pinnacle of boxing. Hopefully they’ll be able to see me through to victory. “You need to still keep that challenger’s mind-set. I’m still the challenger in my head, and sometimes I don’t want to be seen with the belts around me too much. Now that I’m the hunted, it’s no time to just put my feet up and relax. I’m out there defending my throne on Saturday night. “Since we’ve been here we’ve been welcomed with open arms. I expect a good crowd, a fair crowd. There are a lot of people supporting Joshua here, but we have a lot of support back home. It’s great to see all my family and friends here, and we’ve got some support here, as well. “I think some of the things our team has said has gotten under his skin. I’m not unhappy. He looks a little unhappy and a little tense. I think everyone’s different in how they approach a fight. We’re quite relaxed and calm. I’m excited about this fight, but it’s a controlled excitement. “Klitschko’s a great fighter and champion who we respect, but Klitschko is Klitschko. I’m a different story altogether. I’m young and hungry, I’m fit and strong and I got my speed back. I will show that on Saturday. “I’ve got the speed, power, skills, technique, all of the above.